This is the official location of FlightPath core releases. 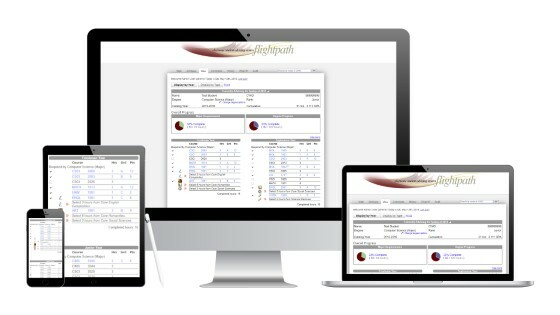 FlightPath is an electronic student advising system, specifically designed for University use. It makes advising easy, reducing human advising errors, which can boost student retention. Advisors can see a list of their advisees, easily select courses they wish them to take, and leave comments for the student or other advisors. Students may load their advising sessions at any time to remind them which courses they are to register for, or to try out other majors/degree plans, to see how their credits would fit in.